My August goal is to eat only at the dining table, and not anywhere else in the house--and eight days in, I'm still going strong on it. 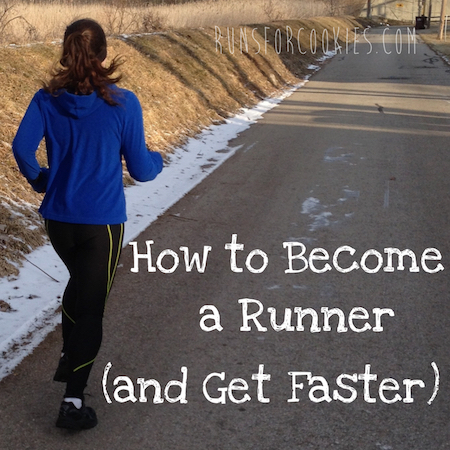 This was a tough one for me, because I usually eat while reading email or blogs, reading a book, or watching TV. We eat dinner together as a family, but the rest of the day, I'm on my own, and I find it really hard to just sit at the table at eat, without anything else going on at the same time. 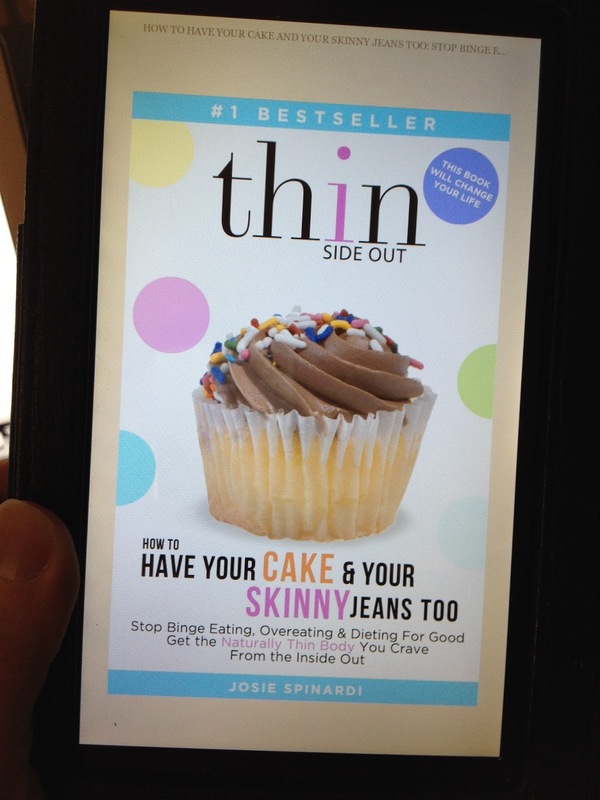 It just so happened that the day I started doing the August challenge, I got an email from a reader who suggested a book to me called How to Have Your Cake and Your Skinny Jeans Too, by Josie Spinardi. It's a book about intuitive eating, which didn't appeal to me at first--I've read probably a dozen books on the subject, and I've tried intuitive eating several times in the past, but was never successful with it. I started reading some of the reviews, though, and because I was doing the eating-only-at-the-dining-table-challenge for August (a common intuitive eating practice), I figured it wouldn't hurt to read it. So I bought the Kindle version on Amazon and read it right away. I was very pleasantly surprised to see that it was completely unlike all the other intuitive eating books I've read. It doesn't just explain what intuitive eating is--eat when hungry! Stop when satisfied (not full)! Eat what you want most!--it explains HOW TO DO all of those things. By the time I was done reading the book, there was almost no reason NOT to give it a try, because it made so much sense, and there wasn't any question about, "But how do I know when I'm satisfied? How do I trust this process?" etc. I had been counting Weight Watchers Points, but I hadn't been 100% on-board with it. I would count for a few days and then binge, or just be very unhappy with having to measure and count everything. But, we all know, I'm not good at NOT counting. That's the only thing that's ever worked longterm for me before! But obviously the counting and bingeing wasn't working either, because I would lose a couple of pounds and gain them right back, so my weight hasn't really budged in several months. I started doing the intuitive eating techniques right away after reading the book (actually, the day of Noah's birthday party), and I finally feel like I "get it". The book explained it all SO well. 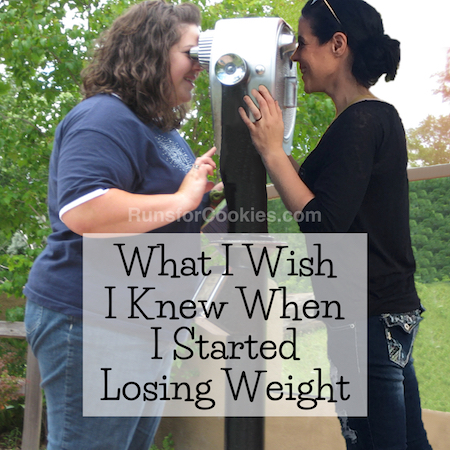 In the past, when I tried intuitive eating, if I would binge, then I'd say, "See? It didn't work." and I'd quit. After reading the book, I discovered that if I binge, it's likely because I either didn't eat what I really wanted, or I was unknowingly restricting food (even eating to just slightly less than satisfaction could cause a binge, because I'd still be hungry). In the past, I found that all I wanted was junk food when I gave myself permission to eat whatever I wanted, but the book explained that it's normal at first to eat all the things you typically restrict. Eventually, you'll stop craving them, and your body will start craving healthier foods, but at first, you may want nothing but ice cream and pizza. I discovered the strangest thing--I haven't wanted ice cream even once since I started this whole thing. It's probably because when I do binge, it usually includes ice cream, so I really never feel "deprived" of ice cream. I've had some unusual cravings (homemade fettuccine alfredo, which is something I NEVER had on Weight Watchers, because it contains approximately 739 points per half cup*), and I've fed them. I've really been paying attention to how I feel after eating a particular food, too (the fettuccine alfredo was SO heavenly tasting, but it gave me a stomachache for the rest of the evening). I've also been noticing that a lot of times when I think I really want something, I actually don't want it at all. When doing Weight Watchers, I (now) notice that I did a ton of what the book calls "Eating cuz I ate"--meaning that once I ate something off-plan, I'd just start eating a bunch of things that I restricted because I had intentions of "getting back on track tomorrow". But now that I've given myself permission to eat ice cream for breakfast, lunch, and dinner if I want, I don't feel like it's super urgent to have it now. I actually haven't eaten ice cream at all in the past week, because I haven't really wanted it. I am giving this 100% effort to see how I do with it. I really hope that it works for me, because so far I really like this way of eating. It requires SO much less thinking and planning than counting points or calories. I've only been doing it for a week, but already, my jeans are looser and I haven't binged at all. I've eaten whatever sounds good to me, and I make sure to eat until I'm truly satisfied (or even a little over, so that I don't under eat, causing a binge). One of the main reasons I wanted to try this now is because in Punta Cana, I don't want to have to be worrying about counting everything I eat; but I don't want it to be a big week-long binge, either. I'd like to try the intuitive eating techniques on vacation, and hopefully not gain any weight while I'm gone. Do any of you regularly practice intuitive eating? How do you like it? I would be interested to see if this works for you. 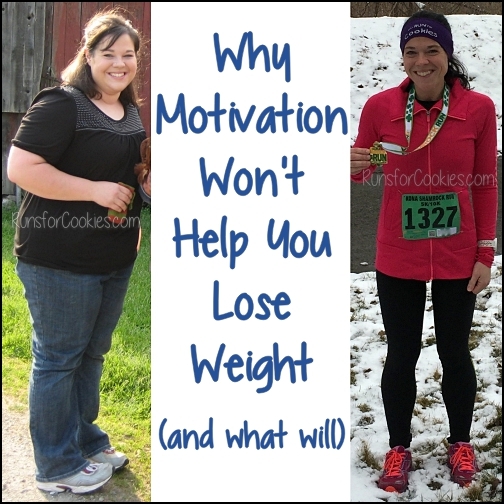 I, too, am finding that counting points or calories really isn't working for me right now, but I feel like I have to do something. I am still on my weight loss journey though and have a good 80+ pounds to lose. I did the Whole30 back in April/May and had great success, but went back to eating crap after 30 days. I decided to start eating like that again to see if I can maintain it longer, but I still don't love the idea of how restrictive it is. My fear with intuitive eating is that I would want lots of high calorie things all the time and eat them and gain even more weight! Good luck! I look forward to hear how this goes for you! That was my fear, too, Kim, but I was surprised to learn that I didn't actually want as much as I thought I would. It's only been 10 days, so it's not been long enough to really see it through, but so far I really like it. I tried it and gained a few pounds. I was working with a nutritionist that also was encouraging me to not journal food or count calories. Well, I've been dong that for 20 something years. If I don't at least write something down -what I ate , why, how I felt etc then I have no memory of it .Then later I can't tell if I was having binges or what. I understand the eating what you really want versus the 'diet' version or a substitute. I just haven't mastered it yet. I think I eat too much or binge because I am not eating what I really want. I ate a 'diet ' ice cream sandwich yesterday and it was fine. My husband wanted to buy a gourmet-ish ice cream bar and I ate half. Same calories. Totally more enjoyable. It involves trusting myself. This is a work in progress. I agree, it definitely involves trusting oneself. That's very hard to do! I'm interested to see how it works for you! I love that you feel better and your jeans are even loose after a week...awesome! I'm interested to see how it works for me, too! So far, I love it! I haven't read the book but I do wonder about a few things. We're on a pretty tight food budget so I have to carefully plan the week's menu. Once our food money for the week is spent I have to make do with what I have until the next week rolls around and I can't afford to let any food go to waste. Sure there's some flexibility to switch around meals and obviously I do try to plan meals that I like, but there are plenty of times when I'm really not in the mood for what I have available but have to eat it anyway. Plus there's the fact that a lot of my cravings are for fairly expensive foods- eating out and gourmet chocolates or baked goods. I just can't afford to indulge them whenever I feel like it. Does the book address this? Also, in my case my weight problems had nothing to do with dieting as I've never actually dieted. Growing up I was always slender. The times when I put on weight have always been when I've been sleep deprived (working night shifts or parenting infants). Before I was able to lose the weight by exercising and using a semi-intuitive approach. I did limit eating out and sweets (though still included in moderation), but for the most part just cooked meals I enjoy at home and ate until I felt satisfied. I didn't track my food or calculate portion size. I lost the extra 30 lbs and maintained it until I had another baby who was a terrible sleeper (plus developed a thyroid condition) and gained 50 lbs. This time around I've found that I really didn't lose weight without tracking my food, but even so I'm not terribly exact with portions and I eat enough to feel satisfied. I'm also limiting how often I can eat out or consume sweets. So does that count as a diet? Regardless, I've found that my body does a better job at intuitively gauging certain foods over others. At home I generally prepare healthy foods from scratch and I do a pretty decent job with those. However, when it comes to foods laden with mostly empty calories I have a much harder time gauging how much is enough. I've always felt like if we're not getting enough nutrients that our body will continue to signal hunger regardless of the calories we've consumed. So anyways, I'm skeptical but very interested to see how this works out for you. I'm hoping it goes well, and if it does I may have to read it myself. Hmm, good questions! 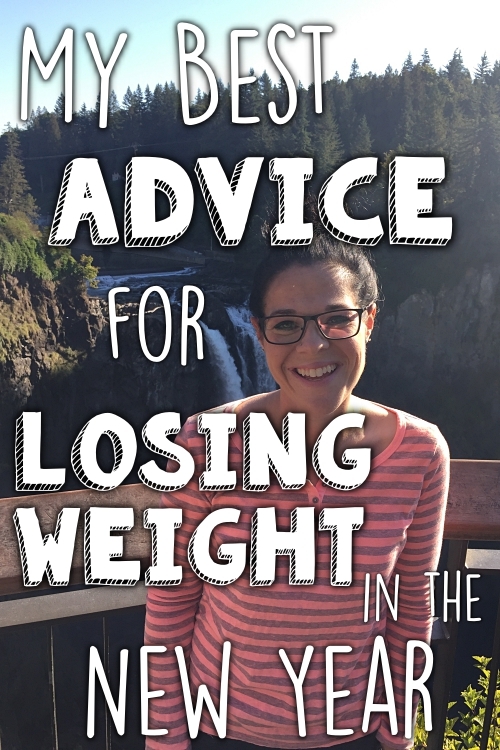 The book is mainly geared toward people who have tried dieting to lose weight in the past, which starts a whole cycle of deprivation and overeating, so I'm not sure that would apply to your situation. As far as the menu planning, I was thinking this would be super expensive for me as well, but it turns out, I'm spending LESS on food than I was before. Instead of going on one or two big shopping trips a week, I go daily for just a few items that I need for dinner. That way, I can plan dinner based on what I'm really craving, then I just pick up what I need for that. I know that's not practical for everybody, but it's been working out well for me so far. Well... this sounds like an interesting book! I'm eager to hear your thoughts once you finished reading it and put some of it into practice. The one thing for sure I have discovered is that not having "X" food is a sure path to disaster ! For example: I tried to go cold turkey on nut butters... 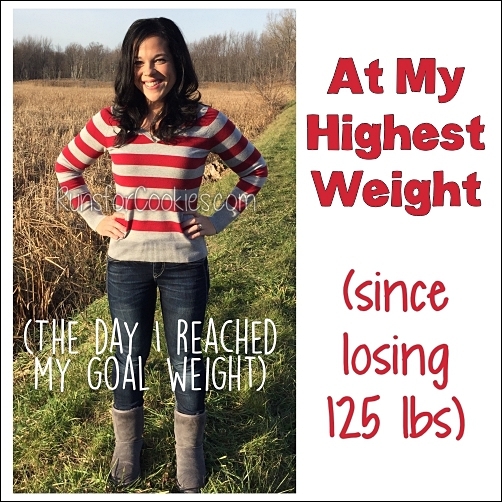 I managed to pull it off for almost 2 months and I gained 6 pounds ! Why !? Because I ate 100x the amount of everything else because ALL I wanted was nut butter but it was "off limits"
So.. I learned to eat (with some amount of focus and control) what I want....otherwise I eat everything and anything that isn't moving ! Does this count as intuitive eating? I got this book in audio form and have "read" it through my iPod while I was walking. I haven't read this book, but you have certainly piqued my interest in it. I got to goal this year completely by doing Simple Start/Simply Filling, which seems like a combination of intuitive eating and whole foods. Since I have been on maintenance I have been eating more along the lines of intuitive eating only, but I find that after months of eating whole foods, I really enjoy those the most. My stomach rarely gets upset with anything I eat and the rich foods I often ate before leave me uncomfortably full. I think I must get this book! I think some of the techniques could definitely be put to use on Simply Filling. Since I've started paying attention to how foods make my body feel physically, I've learned that there are some foods that just aren't worth eating, because I feel like crap afterward. It's interesting! I never really focused on that before. I read Brain over Binge after your post about it. Is this approach similar? Did you have much success with Brain Over Binge? Brain Over Binge is entirely different, but it can certainly be used in intuitive eating. Brain Over Binge is about how your mind has complete control over your body, and how things become habit; where intuitive eating (and this book in particular) is about how to eat based on cues from your body, and trusting your body to tell you what you want and when. They are different approaches, but can be used together, if that makes sense! Brain Over Binge was definitely helpful to me, because I realized that I was not "addicted" to food, but rather that I ate out of habit a lot. 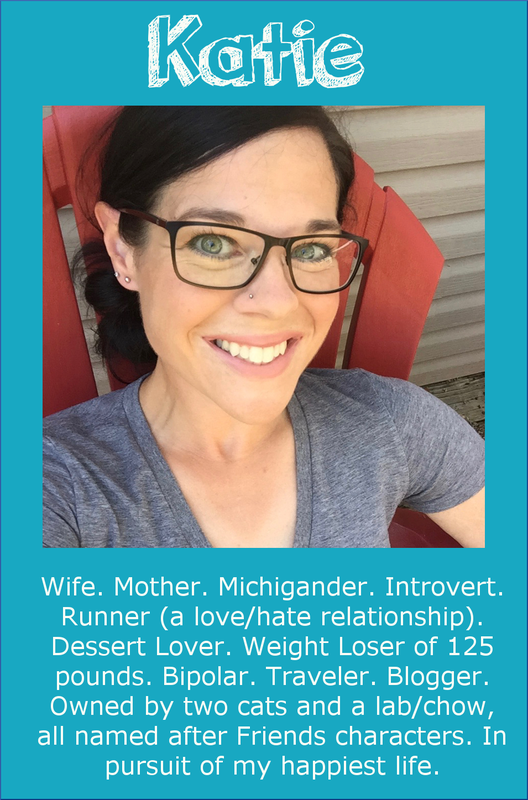 I wasn't able to eliminate binges altogether, but I stopped beating myself up for them so much, because I recognized the habit. Thanks for the info!! I think I'll buy this book as well. Best of luck with your new approach! I just got back from Punta Cana last month and I was definitely worried before vacation about eating too much and not working out enough. But, they actually serve normal portion sizes there (you will consider them small compared to American sizes), so it's not something I think you'll have to stress about. After our second day, we realized it was a rare time we got to relax and just do whatever we wanted so we stopped worrying about if we'd get up and workout first and what to order and I actually didn't gain any weight either! I should read that book-I have read many books on it, but am having a hard time putting it into practice. It is so hard to really listen to my body and just eat until satisfied. I will download that book on my Kindle-anything is better than constantly counting calories and points!